Wednesday night’s Muskingum Valley League girls hoops showdown – between visiting Tri-Valley and the host Sheridan Lady Generals – came down to one of the most basic of basketball fundamentals — rebounding. For the record, Sheridan defeated Tri-Valley 38-34, securing a share of a third straight conference crown for the Lady Generals, and knocking the Lady Dawgs out of title contention for the 2018-19 season. 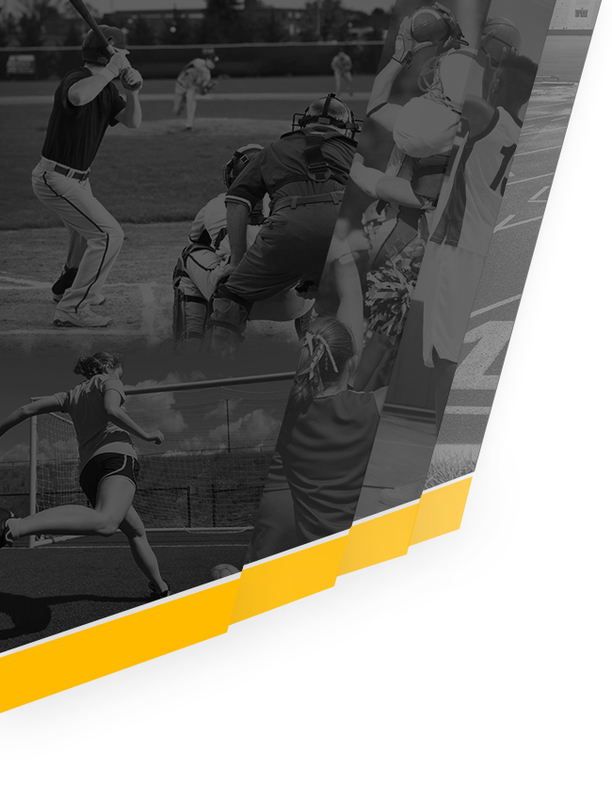 Both teams struggled with their games however, in this much-anticipated, high-stakes rematch. The Lady Dawg and Lady Generals met back on December 4 in Dresden at the Dawg House – in an early season battle of MVL perennial powers in ‘Round One’, as TV rallied from an eight-point third quarter deficit, then showed its grit down the stretch to earn an exciting 43-36 win over the defending conference champs. And while Wednesday night’s ‘Round Two’ scheduled bout didn’t lack the intensity of previous TV vs SHS encounters, it fell short in showcasing the skills of two of the league’s best teams. To their credit – and despite being in ‘serious’ foul trouble – the Lady Dawgs overcame a 14-point fourth quarter deficit to nearly catch the host Lady Generals, but in the end, fell short, dropping just their third contest of the season in 20 outings, while slipping to 12-3 in conference play. As to the aforementioned rebounding reference, it was simply the difference in the game, with the victorious Lady Generals owning a telling 45-28 edge on the boards. The taller hosts’ strength in ‘cleaning the glass’, coupled with their length on defense seemed to be the determining factor in the outcome. Both teams struggled from the floor (TV hitting just 12 of their 42 attempted action shots, and SHS 12 of 45) and at the free throw line (TV – 11 of 21 from the charity stripe, and SHS 11 of 26). Furthermore, the winners committed 22 turnovers, while the Lady Dawgs were guilty of a lesser 15 floor miscues. The contest started slowly, as neither team lit up the scoreboard until the 4:39 mark of the opening quarter, when junior Lady Dawg guard Audrey Spiker dished a nice assist to classmate Lauren King for a lay-up and 2-0 TV lead. 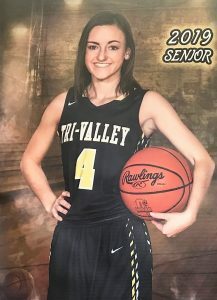 A Kyndal Howe free throw on Tri-Valley’s next possession gave the black and gold a 3-0 lead, but then the bottom fell out for the visitors, as host Sheridan went on an 11-0 tear, to take an eight point late first quarter lead. An Audrey Spiker drive to the hoop and ensuing charity toss was all TV could muster leading up to the first quarter break, as the host defending champs owned a 15-6 lead heading into the second stanza. 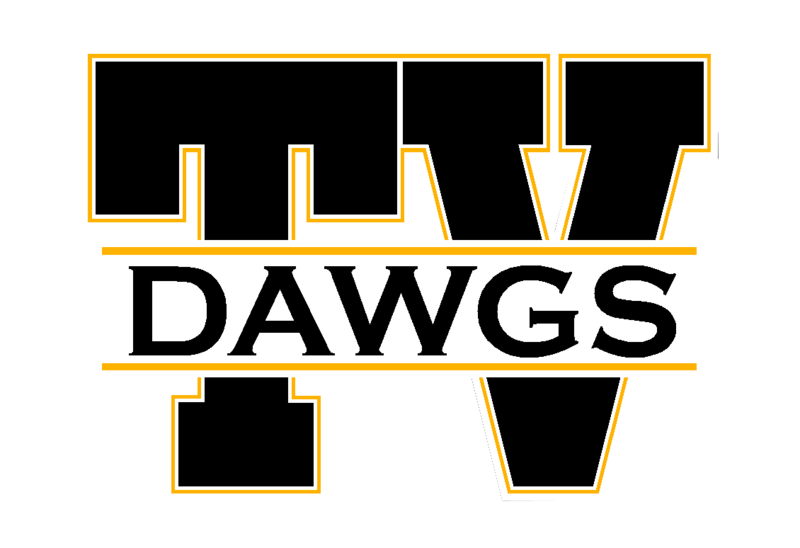 TV’s Lauren King hustled to the bucket for a rebound lay-up on Tri-Valley’s third possession of the second quarter, then a Kyndal Howe basket – her only fielder of the contest – got the Lady Dawgs to within 15-10 midway through the period. But the visitors would come up empty on the last nine possessions of the first half, as the host Lady Generals – who didn’t fare much better on the offensive end – jogged to the halftime locker room with a less-than-commanding 19-10 lead. After a misfire on their first second half possession, Tri-Valley got a free throw from senior guard Laiken Little (her only point of the contest), then another nice drive through the paint from Lauren King for two points. But Sheridan built a double digit lead with a 5-0 run, and led 25-13 midway through the third quarter. Lady Dawg sophomore starter Riley Tracy’s coast-to-coast lay-up, then a Spiker drive through traffic for a two-pointer capped the offense for the visitors in the third period, as host Sheridan took a 29-17 lead into what would be a chaotic final eight minutes of regulation play. Tri-Valley showed their grit in the fourth quarter, as Howe opened the fourth frame with a pair of swished charity tosses, followed by an Audrey Spiker basket, then two free throws from Riley Tracy, cutting the Sheridan lead to 31-23 at the 5:34 mark. After an SHS free throw, Howe got her team close with four free throws on Tri-Valley’s next two possessions, making it a five-point game at 32-27 with 2:38 left in the fourth frame. But Howe’s heroics were short-lived, as the talented junior standout fouled out of the contest at the 2:09 mark, leaving the Lady Dawgs just one-deep on the bench. 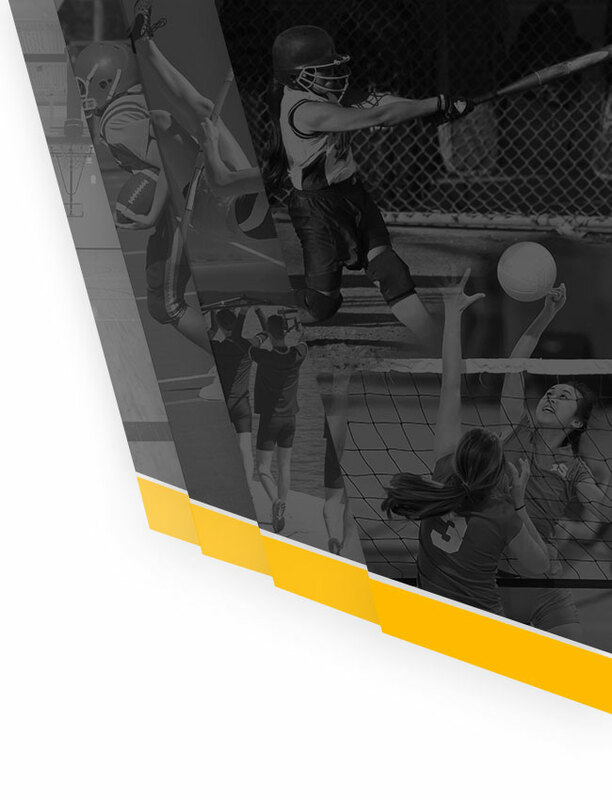 Tri-Valley dug down deep and nearly pulled off the comeback, as a pair of King and Spiker last minute drives for four points, and a Riley Tracy trey drew the visitors to within two points at 36-34 with 27 seconds left on the scoreboard clock. But Sheridan had just enough left in their tanks to hang on for the win, netting two free throws on consecutive possessions in the final seconds to record the win, and wrap up their – and Coach JD Walters – third straight MVL girls basketball championship. Spiker and Howe led Tri-Valley with nine points each, with King right behind with eight counters, and Tracy’s seven second half points. Bailey Beckstedt led Sheridan with 11 points, followed by Kyndl Mick and Rachel Cook with eight apiece. Sheridan took the junior varsity contest as well – 33-30 – thanks to seven points each from Abbie Miller, Gabby Carpico, Abby Dupler, and Sara Robinette. Maranda Rose’s two treys for six points led the Lady Dawgs, who also got five counters each from Rachael Cox, Riley Moore, and Anna Krupa. 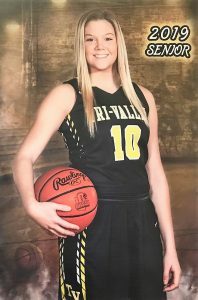 Tri-Valley will honor their two senior Lady Dawg basketball team members – Laiken Little and Savanna Moran (pictured below) – on Saturday night, when they host the West Muskingum Lady Tornadoes, in the MVL – and home – finale. JV action tips off at 6:00 pm, with a short Senior Night ceremony scheduled prior to tip-off of the varsity game. Coach Kurt Kaufman’s Lady Dawg hardwood charges will put the wraps on the 2018-19 regular season on Monday night, February 11, when they travel to Reynoldsburg for a non-conference – and post-season tournament tune-up – at Reynoldsburg, to play the Lady Raiders. Junior varsity action tips-of at 5:30 at Reynoldsburg.